If less than 6 entries, Organizers reserve the right to cancel the event and/or reduce prize money by 50%. All ages, all levels, minimum of 5 couples required. If less than 5 couples, vouchers will be given in lieu of cash. Open to ages 9-15 only. Minimum of 10 couples required. If less than 10 couples, vouchers will be given in lieu of cash. 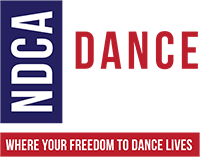 All professional competitors, including Pro/Am teachers, are required to hold a current registration card from the NDCA for 2017 and must supply the organizers with official registration number before the competition begins. To register you may write to Lee Wakefield, c/o Brigham Young University, PO Box 22018 Provo IT 84062. Please include your NDCA number on entry form to facilitate registration requirements. You may register with the NDCA representative at the desk if you are not a member. However a penalty will be imposed by the NDCA on those who register at the competition. Foreign professional competitors may use their comparable professional organization affiliation. These rules will be strictly enforced. Failure to comply will result in disqualification.